Prodevelop is a company highly specialized in the application of ICT services, where we strive to offer innovative and flexible solutions. They are specially designed according to the needs and requirements of each of our costumers. The combination of the company’s extensive experience, constant innovation in technology and proximity to costumers and partners, has allowed the company to grow in a sustainable and profitable way, thus attracting the best professional technical team. Founded in 1993, currently it has offices in Valencia, Barcelona and Algeciras, we are already more than 80 professionals. Our main customers of the company are located in Europe and Africa. In recent years, Prodevelop has been acquiring a high degree of specialization in different areas, thanks to the development of research projects at an international level. They have allowed to obtain products and services with a high added value and state-of-the-art technology that have served to strengthen ties with our customers and stablish hardwearing relations over time. Quality Policy The CMMI at level 2 certification or ISO 20,000 and the Sapiens Best ICT Company 2011 award of the Comunidad Valenciana, demonstrate the commitment that Prodevelop has acquired to offer the best solutions through the integration of high quality standards, technology and knowledge. Committed to achieving the highest quality standards in the development processes of each of our products, services and customised solutions. The company’s management processes have been accepted and certified by CMMI at level 2 and ISO 20,000. The company is highly committed with research, development and innovation, as a source of enrichment of knowledge of our team. The research is incorporated in our day to day, it is implemented in the improvement of our products and services, which makes our portfolio of solutions different and unique. Prodevelop participates and contributes actively in different research programs supported and subsidized by the European Union and the Spanish Government. The key factor in developing and enabling each research project is the collaboration and the partnership with research groups of different universities, research institutes and other companies. Cloud data-intensive application development with iterative quality improvement: DICE. 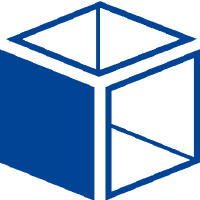 DICE aims to define an open-source framework for the quality-oriented development of Big Data applications. It offers a new UML profile and tools to help software designers to reason about the reliability, security and efficiency of information-intensive application. The DICE methodology includes quality assessment, architectural improvement, continuous testing and agile delivery according to DevOps methodology. It has been applied to the POSIDONIA OPERATIONS © product for real-time vessel tracking. 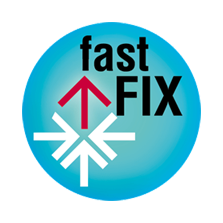 FastFix developed a platform to allow support to the maintenance of software applications. It allows to obtain better information about the context where errors occur, a stack trace for the reproduction of an error, to organize the errors detected with its automatic registration in a ticket system, to provide clues about possible causes or solutions for the errors detected, to learn from the errors that occur and solutions that are provided so that the platform learns as it processes errors. It was applied to the ESPIGON © port management product. Executed between: 2010-06-01 – 2013-02-28. APPS: Advancing Plug & Play Smart Surveillance. Current maritime surveillance systems use technologies such as radar, AIS identification and the use of visual sensors. However, these present limitations as the non-detection of smalls vessels and the sensors do not have 3D capabilities. APPS will be an Intelligent surveillance system of the future for the support of intelligent 2D/3D operation to prevent illegal maritime activities in coastal areas and ports through a Plug & Play architecture using heterogeneous sensors that complement radar and a CEP that allows the analysis of suspicious behaviour by using machine learning techniques. DOCKING-ASSIST: it improves the efficiency and security of a port by using an innovative wireless communication system. It also improves the navigation of vessels with differential positioning system by satellite. DOCKING-ASSIST aims at the construction of a low cost PPU (Portable Pilot Unit) based on Wimax for docking manoeuvres with precision to the centimetre using a differential positioning system by satellite (PDGNSS). It helps decreasing the manoeuvring time of the boats inside the port and to increase their performance with a minimum investment. The project reduces fuel consumption, CO2 emissions and the environmental impact of maritime transport. It was applied to the Port of Cork (Ireland). Multimodal Intelligent Logistics Transport System. The STIMULO’s objective is to build intelligent traffic management services by means of real-time prediction of the state of the components of the transport system (infrastructure, vehicles, goods, users, etc.). The main elements of the proposed infrastructure are the simulation model, the mining of data from heterogeneous sensors in real time, the generation of traffic indicators and the use of these indicators together with collective intelligence techniques for the provision of services associated with the transport system that allow for greater efficiency and performance.